While there’s plenty of scare come Halloween, there are also plenty of kid-friendly attractions to enjoy this Fall in Hawaii. From pumpkin patches, fun mazes, festivals and parades to hay rides and pumpkin shot fun, it’s fun for the whole family to enjoy. 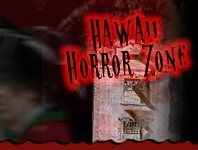 Find all the fun Fall events and attractions on HawaiiHauntedHouses.com!